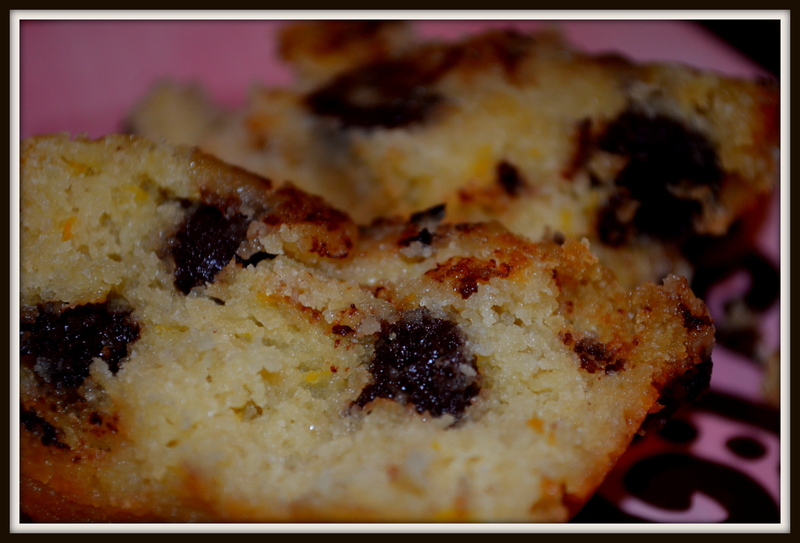 To me, there is no greater combination than orange and chocolate! As I have been thinking about this, I just knew that I had to experiment and try to come up with a muffin with this very combination. So, that is exactly what I did yesterday, and I am so happy with how they turned out! I took a picture of the inside of the muffin, so you could see what it looks like. 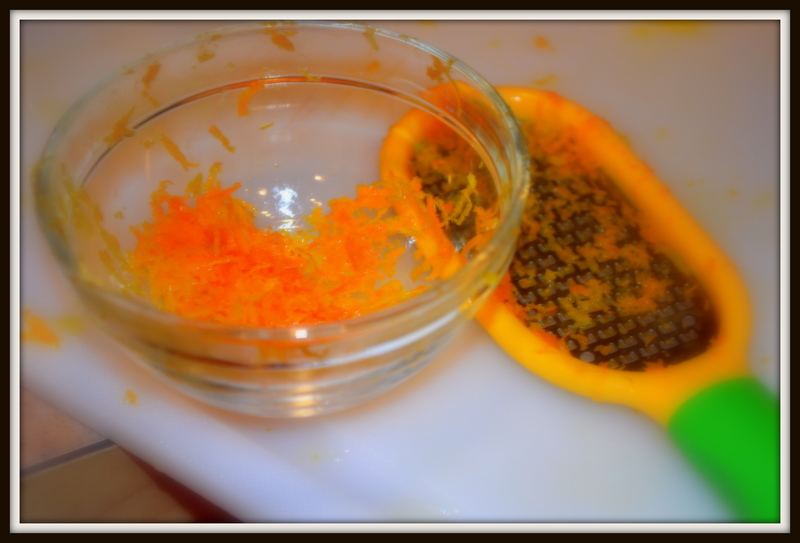 I love being able to see the orange zest in it. Mix the flours, baking soda, salt, and zest in a large bowl. Mix the eggs, orange juice, coconut milk, and honey in another bowl. When mixed well, then combine them with your dry ingredients. 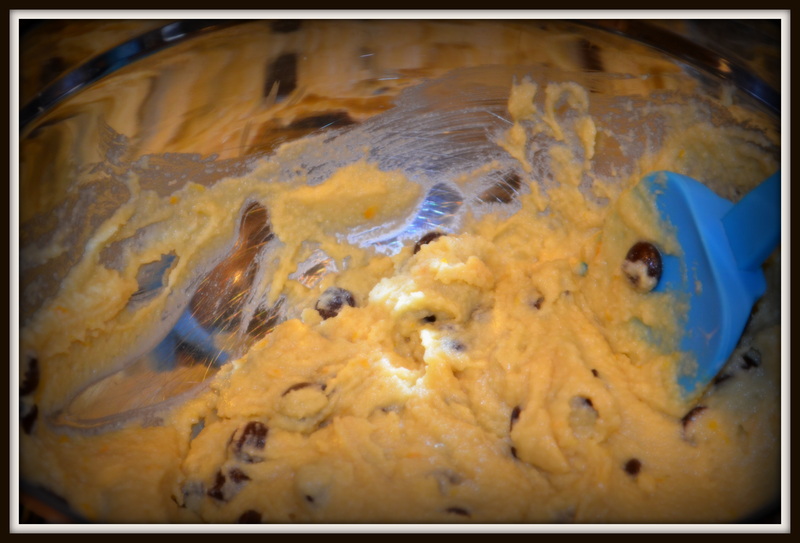 Add in the chocolate chips and mix thoroughly so they are spread throughout. After greasing the muffin tin, pour the batter in. Meanwhile, make your sauce by first melting the coconut oil. Combine the melted coconut oil with the orange juice, honey, and cocoa. Mix well. Pour some of the sauce over each muffin. I normally cook my muffins for 20 minutes, but this one I ended up cooking for 24. I think this was due to the extra liquid in it. 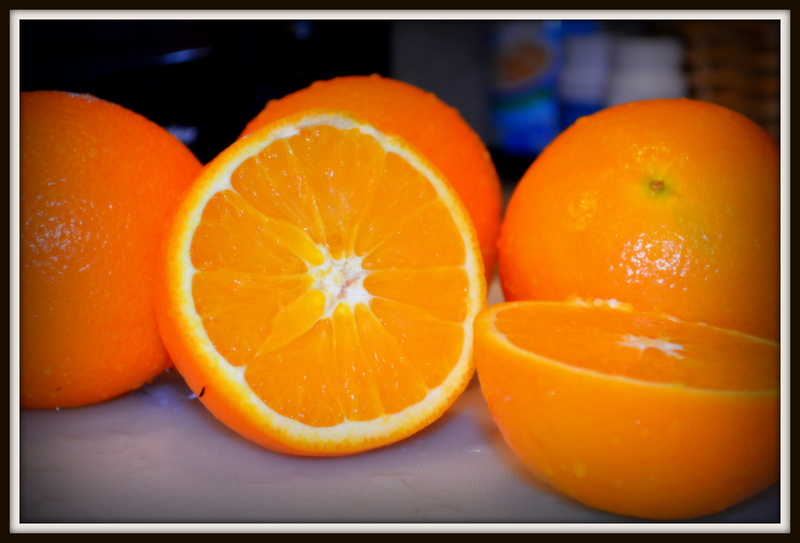 HJummmmm – I have never throught about orange and chocolate. I would try it but I don’t know how I would like it. Guess I can’t say that until I try one 🙂 I’m so glad you liked the way they turned out! Doug doesn’t like orange and chocolate together either (though he mostly doesn’t like anything with his chocolate…give it to him pure!) I, however, think the combination is the best ever! You can buy some dark chocolate candy bars with orange in them at the store (chocolate is low-glycemic)…Lindt is a brand we like. That would be a way to figure out if you like the tastes together or not.